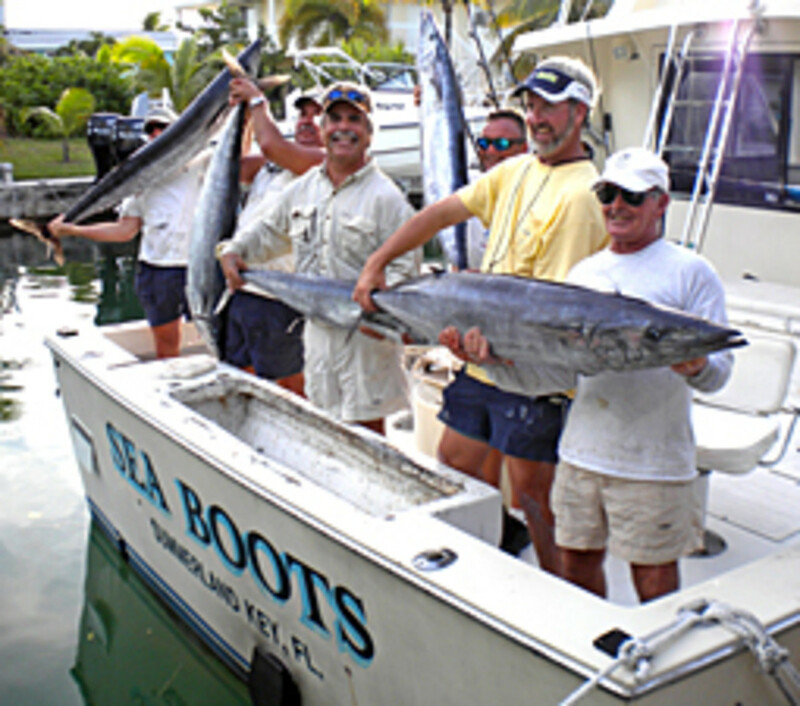 What happens when several Florida Keys captains get together for a busman&apos;s holiday angling trip? They catch fish - a lot of them. On Tuesday, Capts. Mike Weinhofer and Rob Harris fished on Capt. Jim Sharpe&apos;s Sea Boots along with several of Sharpe&apos;s neighbors, including Jose Hernandez, Al Burns, John Crockett and Albert Medina. 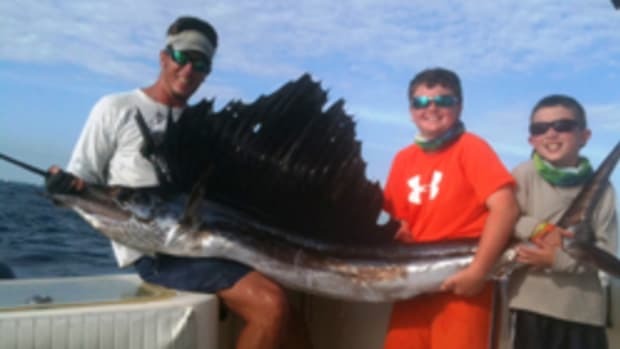 In about 3-1/2 hours of fishing, the contingent caught nine wahoo ranging from 22 to 65 pounds. Fishing in about 125 feet of water off the Lower Keys, Sea Boots&apos; anglers high-speed-trolled Williamson black-and-red Diamond and Rapala Mag 30 artificial lures. "We hit &apos;em sometimes six at a time," said Sharpe. "We had a total of 18 fish to the boat, but we lost so many, because they were so big and they were all coming in at the same time. It was just insane."